Lytek’s personal inspection had made it blatantly obvious that Aden was still expanding, and was still generating new manses and internal properties. Worse… it was equally obvious that Mechagodzilla was drawing on a portion of Aden’s geomantic energies, that it had a direct link to Charles on the holding-hands level, and that it could (at the very least) subtly communicate with him. Charles… WAS shielded against most direct manipulative charm effects – but there was no magic that protected you from simple persuasion and reasonable-sounding suggestions. Hopefully the boy had at least some sense about WHAT to do, even if he appeared to have no sense of restraint at all when he was actually DOING it. The groups that had been worried that someone would get Charles’s ear would, when they eventually found out, not be much comforted to know that the one who had was a Crazy Lunar – Raksha hybrid, with a Sidereal – Raksha hybrid friend and a crew of Raksha in Mechagodzilla! Lytek… had been mildly startled when he’d – absent-mindedly – called for a messenger to send to Aikiko just as he would in his offices, and had gotten a… human boy with cheetah-styling. Incredibly fast, happy and well-cared-for – but just as obviously terribly weak-willed. About as far from being an exaltation candidate as any functioning human he’d ever seen! And the circles were indeed dazzlingly fast… and the solution was rather reminiscent of some First Age Solar experiments with raksha servants, although they hadn’t made their own devas for it. Although… he had to give the Cauldron-Born some credit! “Mechagodzilla” had been a most unexpected line for them to take… they really were still Exalts, even with those Raksha along for the ride! This… went beyond simple curiosity and feeding, and seemed to be far more of a merger than a possession. Whatever it was they wanted… it must make sense to BOTH halves of their minds. And… considering that the ringleaders were a Lunar and a Sidereal, could it be that they meant well for Creation? After all, whether the Raksha had liked it or not, they’d tried to DEFEND Creation against the Hannya during the last assault. They… had pretty much thrown their lots in with Creation’s thirty thousand years ago. 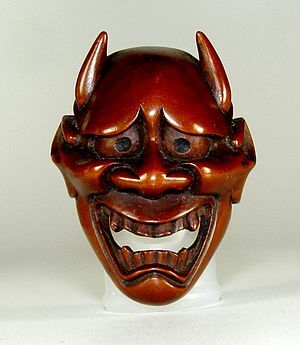 From what he’d been able to find out… most shaped fey these days had no interest in seeing the Hannya or unshaped devour everything – much as they might like to posture as mighty lords of chaos otherwise. Meanwhile… Aikiko now had an EPA expense account to go with her funding from Lytek – which might or might not represent less actual MONEY, but which was a LOT easier to use on Earth. After all, it was hard to think of a WORSE environmental threat than four unsupervised cosmic children wandering around doing stuff at random, and who else did they know who was even close to being capable of investigating that? After that… she’d traded out the Behemoth Cloak for some Commando Armor with extra stealth effects on it to keep if from being identified as Charles’s work (Having Mechagodzilla tracking her by her armor was NOT a welcome idea!). After that, she’d had one of Charles’s quasi-Raksha whip up a Wyld Gate back to earth – and had been back for some hours before it hit her that – if Charles’s quasi-Raksha could do THAT… then presumably the Cauldron-born could do it to, to get to anywhere that they’d ever been! Not a comforting thought there either! Even now she was still a bit bemused – although that was more a consequence of watching a terraforming… Charles was obviously a LONG ways into his chosen specialty there – but she was a Solar Exalt too, and that meant that SHE could learn to transform worlds like that as well if she so chose… What kind of world would SHE create? The “World of Weed”? The priests had warned her that a Solar Exaltation brought with it a tendency towards destructive madness, just as their powers had their own (rather more awkward) drawbacks. What would that be like if you coupled it with the power to reshape worlds like that? Perhaps it only worked on lifeless balls of rock? Come to think of it… that did seem likely! Certainly everyone on Earth would do their best to avoid being just overwritten that way, and that much opposition was enough to block pretty much anything. Wait. How did she KNOW that so surely? It seemed to be almost an instinct! That… was going to take some looking into when she had more time. Since meeting those priests she’d had some suspicions about what might be going on in the depths of the human mind! Aikiko brought her mind back to the present – not, really, that riding on a South American bus was really all that challenging. It had been an interesting trip to Argentina but when it came to rattle-trap old buses, they were all pretty much alike! Still, the area was VERY scenic! Argentina was a land of spectacular mountains, mighty forests (and some unfortunate logging and slash-and-burn agriculture), and torrential rains. Hence the landslide, most likely… even barring interference from the mountain gods (and who could bar that? ), it was pretty obvious that disturbing the mountains was a perilous business! Still worth heading up to poke around the village though. And that trip proved MUCH more impressive. small waterfalls crossed the “road”, there were gulleys, and it wound along ledges and cutbacks into the mountain right next to tremendous drops – while the bus driver kept gunning the laboring engine to make it through another slick spot where mud and water was running across the road. Even worse… everyone aboard (with chickens, and goats, and other livestock, and small children, and piles of junk) seemed quite used to the insanity. Man, people ran things differently outside of the States… it was going to be a long trip. The village perched on a flatter spot on a mountainside – and there were still traces of a genuinely major landslide all around it. That was actually fairly impressive! It looked to her like that COULD have happened – but it would be a Sidereal-meddling level coincidence – and why would they be protecting a mountain village this obscure, missions or not? She headed on in; they probably had at least a few tourists gawking already. It was only a few though; there was a rather subtle ward-and-compulsion active on the village; it was discouraging close inspection of the area and trying to convince visitors that the near miss had been entirely natural… It wasn’t even trying on the actual local witnesses though. Huh… Terrestrials blocking this one too. That wasn’t entirely unexpected… It looked like… Air Essence; not terribly powerful but reasonably skilled. She’d have to be careful investigating – although some Terrestrial help wouldn’t be too bad. Hey! The locals had built a little shrine just above the village. Considering that a “mountain spirit” was seen holding off the avalanche, that seemed like a good place to start! The shrine had a selection of small offerings – apparently something personal from everyone in the village, ranging from old-style wedding photographs to bits of jewelry and little wooden toys, all set on a stone slab that had been set up in front of a small outcropping of rock. The area was still resonating with traces of essence, but it was FAR stronger than whoever raised the ward. There was also an elderly woman, doing a little dusting and straightening. Huh… Air, used in some sort of communications and sensory effect), Wyld, used to do something that involved TIME somehow, and something she couldn’t make out. It didn’t seem like a Charm or Thaumaturgy though. Too stable. That was really weird! It didn’t look like Divine essence though – and there were lesser traces of the same stuff all over the place – like it was just wandering about. Maybe somebody had a chancel? She also seemed determined to hang around as long as Aikiko was poking about… Oh well! That was what her Anima power was for, even if it WAS expensive to conceal excellencies and divinations. It looked like… the Wyld essence had erupted from… the side of the outcropping and had gone into full manifestation for several minutes – it had probably been obvious to everyone in the village – and then it had gone… back into the stone. Oddly though, it hadn’t actually come from inside the stone; it had just gone into a depression in the side of the outcropping and ceased to exist. There were traces of it around the village elsewhere though – mostly older. A hidden freehold or site of power, maybe? Anyway… whatever had come out of it had gotten up on top of the rock and exerted it’s power there, and then had gotten down and left the same way. She might just have to persuade the old lady to go away. The thought of being classically Solar, starting to glow like the sun, and commanding her obedience on pain of being punched thirty miles just didn’t appeal… It would probably give the poor old lady a heart attack! Maybe an illusion? Ah, what was she thinking? A compulsion! “Cooperate with my investigation!”! She was probably just as curious as to why the “mountain spirit” had intervened as Aikiko was anyway. Aikiko took her time, and made it subtle – and managed to overcome the old woman’s (fairly basic) resistance pretty handily. She could break free if badly pushed of course – but there was really no reason to get silly! Ah! That must have been the Terrestrial! While the old dear was talking, Aikiko performed a little quiet divination on the outcropping itself. Another possible Primordial related site? Well, good luck to the poor Air Aspect – at least if it was anything more than a minor demesne or old bit of thaumaturgy. “Time out of Memory” for an old woman in a small tribal village… most likely at least a few centuries, but that really wasn’t very long! She got directions to the place anyway. As for her divinations… It looked like their HAD been a portal there – but it was gone now. Evidently a temporary one. Basically… something radiating wyld and air energies had opened a portal here, stepped out, split a major avalanche around a small and unimportant village, and had then gone back to wherever it had come from. Oh! She was being silly! Most of the village must have seen it, including Llanquipan – so she could just ASK her! The story was straightforward; The rains had been very heavy, and there had been a bit of digging further up the mountain – not that she blames it on THAT, it was tiny! – and everyone in the village heard the rumble starting – and went outside, and saw a mass of stone and shredded trees, and earth, sweeping down the mountainside. There was… nowhere to run, and it was obvious that nothing in the village would withstand it. They were all going to die. And then… a door of light opened in the side of the outcropping where the shrine is now, and a youth, glowing gold with blue and silver fringes, stepped out, and leapt up to the top of the stone. He held out a hand, and stood before the avalanche – and spirits rose from it, and there was a moment where things seemed to just… stop… and he spoke – and the spirits bowed, and steered the stones and earth aside. The glowing youth stood there as the avalanche passed, and then returned and shut the portal behind himself. Her eyes were not so good any longer, but she certainly saw THAT! Hmm… if it WAS a Solar, blue and silver were associated with the Zenith and Eclipse Castes – or with Air and Wyld energies, or both. There just weren’t enough colors to go around! The villagers, of course, had set up a shrine to the spirit that had saved them, as was only wise! Llanquipan… hadn’t been able to make out much about the spirit other than that he was male and glowing – but her vantage point had not been the best and her eyes weren’t so good any longer either. Still, the similarities to how Charles operated sometimes were rather obvious. HE had an internal dimension with a main gate that followed him around and secondary ones that manifested nearby; if this hadn’t been the main one… whoever it was could have just stepped into one portal and out this one. She’d have to poke around the local area then, keeping up a detection effect and see if the main gate was still around – either permanently or for the moment. If not… well, it still might just be a Chancel – but it certainly FELT like she was finally on the right trail! Hm… First, a search of the village and for other witnesses. Then a trace of the Wyld energies. If that didn’t, the “Door of the Birds” sounded like the kind of place where weird things happened. Even with an Investigation Excellency… that wound up being a botch. Unfortunately, the villagers had gotten the impression that she’d been harassing Llanquipan, and wanted nothing to do with her! All she got from the other witnesses was snubs, sneers, and mutters about nasty tourists who should go back home! Dang it! It must be those stereotypes about Japanese/American tourists rearing their ugly heads! Still… there were traces of wyld energies scattered all over the village itself – and especially at one of the two guest houses and the small church/meeting hall. She investigated the guest house first; tourists could be expected to head that way anyway! A closer look (and a much better roll) showed that that was a manse-power trace – like someone had… temporarily overlaid a manses zone of influence onto the area – but the way it moved around, it was radiating from someone who stayed here, as if they had a manse in their pocket. Could be some sort of remote tap… and weren’t there supposed to be some lunar charms which let you act as a manse? She took a room and set up a privacy ward so she could call Charles… This DID sound an awful lot like something he would do! Aikiko described what she’d seen . One room showed somewhat more energy-traces than the others – and some signs of a hurried (and recent) departure – a stray sock under the bed, several gum wrappers, and a couple of sketches of mountain scenery – pretty fair work. Well, the sock and the sketches might retain enough of a link to their creator to be useful… gum wrappers were no use… wait; if she could find the GUM… The “spirit” had looked young, and so he might well have discarded some! She had to laugh a bit though. She’d have to bet that very few Solars had gone looking for used chewing gum? Probably none in the first age! Even if chewing gum bad been around, she doubted that they would have rooted around looking for it for anything. They’d probably have had a servant or underling do it. None stuck anywhere under tables or the bed, but the she did turned up some stuck in the trash container! Apparently even the Terrestrial hadn’t thought of it! Huh! Not local at the moment – currently, down at the coast; some hundreds of miles away. A young male, and distinctly solar-wyld-air flavored. Probably not cauldron-born though; it really felt like a manse-aura – at least for the Wyld-Air part. Maybe he really WAS projecting a Manse? She’d have to get closer to get a better location though… To the coast! Keeping up the link as much as she could! It was morning before the bus left again – for another insane ride down the mountain – only to be interrupted by a group of highway robbers who attempted to stick up the bus! On the other hand, they seemed to be just humans, and only eight of them with guns at that, and she’d been wanting to get in more practice with her thaumaturgy. Aikiko drew on the art of Telekinesis to start the tree sliding down the slope – exposing the three who’d been using it for cover and starting to clear the road. That hadn’t been one of her better efforts… perhaps she should take Charles up on the augmented Thaumaturgy next time she saw him! The stuff he was handing out was pretty useful! There was much cursing, and demands for all the money anyone was carrying, especially hers! It seemed that she was obviously a rich tourist! Probably looking for magical revelations – and they have one for her; “How much trouble it was to be broke in a foreign country!”. Ooookay… she tried Shadow Weaving – a wave of nightmarish fear- on as many of them as she could get, augmenting her spell with her most baleful glare – while being careful not to affect the people aboard the bus. That left them distracted for more than long enough for the driver to gun the bus. For one who drove like he did on these roads… mere guns held little terror! Aikiko smiled and waved as the bus tore past the bandits – leaving in it’s wake frustrated cursing and a wild shot or two! One of which did give one of the younger girls on the bus a nasty shoulder wound. Still, that was better than the things that ruthless bandits might do! Two days later she was rattling into a coastal city with a somewhat unpronounceable name – and her scrying showed that the Exalt she was chasing was… about five miles down the coast. That shouldn’t take long at all! I think I recognize this here. That’s the other Guardian that you used as an example of what another proto-primordial solar exalt might be. I think the name was something along the lines of Flowing Sunlight Moon. His powers revolved around being a conversationalist, and being able to converse with things you normally couldn’t, such as an incoming attack or somesuch. Given that Aden too easily capitulates to requests out of niceness, such an ally might be greatly beneficial in dealing with the Cauldron-Born. Sorry, things got a bit behind due to life… And yes, Aikiko did happen to pick the “right one” this time. Other sets of clues led to several other things. Perhaps sadly, after locating the one, Aikiko got rather diverted by the remains of a plot left over from the first balorean crusade, and hasn’t gotten back to Guardian-chasing yet. I really must get the logs caught up.